This lightly used Springfield XDS™ 4.0 Single Stack Bi-Tone 9mm offers all of the quality and safety features you expect from the XD® line. This powerful pistol includes the Ultra Safety Assurance (USA) Action Trigger System™, loaded chamber indicator and grip safety. 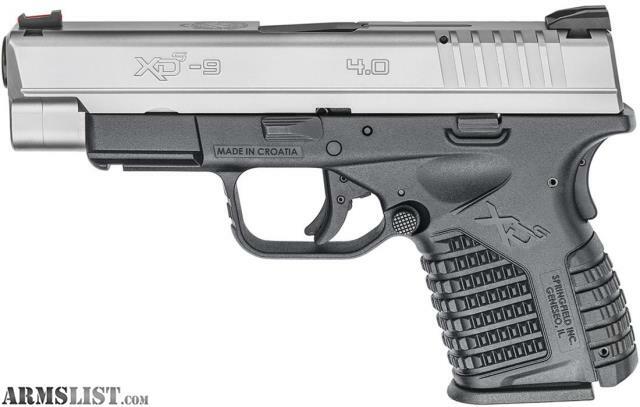 In addition, the XDS™ 4.0 9mm offers a top-of-the-line, enhanced secure grip texture for greater control and usability.